Today’s deals roundup includes several headphones, a group of smartphones and couple of speakers. In our today’s deals roundup, we found some good deals on gadgets from manufacturers like Samsung, JBL, Apple, LG and more. 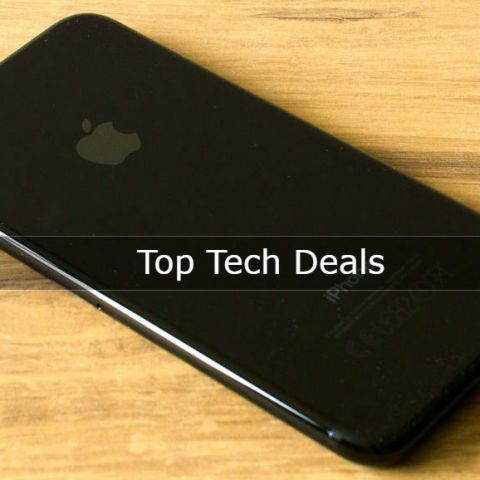 In this article, you will come across some cool deals which include cameras, smartphones, headphones, and some other accessories. The JBL Flip 4 is a new addition in the flip series, it features an IPx7 rating, which means that the portable speaker is able to survive a splash of water. It comes with voice assistant integration for Siri and Google Assistant, corresponding to the device it is paired with. It also features a 3000mAh battery, which is said to provide 12hrs of playback in one go. You can check this device out here. The iPhone 7 is powered by the Apple A10 Fusion chipset, which is a quad-core processor with M10 motion coprocessor. The smartphone features a 12MP rear camera and a 7MP front-facing camera. It comes with a 4.7-inch display and the Touch ID on the front provides added security. It sports 32GB of non-expandable internal storage. You can purchase this device from here. The boAt Rockerz 600 Bluetooth headphones are the company’s new generation headphones. These over-the-ear headphones are backed by a 3000mAH battery that promises to deliver 8 hours of seamless playback. The device comes with an aux cable, which can be used to connect to compatible devices for listening to your music. Purchase this audio device from here. The Samsung A6 plus is powered by the Qualcomm Snapdragon 450 octa-core processor with 4GB RAM and 64GB of internal memory, which is expandable up to 400GB. It features a 6-inch super AMOLED display with a resolution of 1080 x 2220 pixels. Here is the exciting part for all those who love to take pictures, the phone is equipped with a 16MP (F/1.7) + 5MP (F/1.9) dual primary cameras and on the front, it is equipped with a 24MP sensor. Know more about this device here. The Lenovo Tab 4 sports a 1.4GHz 64-bit Qualcomm Snapdragon quad-core processor with 2GB RAM and 16GB of internal memory. The device currently runs on Android 7.0 Nougat operating system. It features a 5MP rear camera with auto-focus feature and a 2MP front-facing camera. The tablet is equipped with a single SIM slot and offers data connectivity. Moreover, you will get an additional cashback of Rs 250 at Amazon on orders above Rs 1000. Take a look at this device here. The LG Q6 features a 13MP primary camera and a 5MP wide angle lens on the front. The smartphone sports a 5.5-inch HD display with the resolution of 1080 x 1920 pixels. The company has highlighted the battery backup of this smartphone and claims that it can deliver talk-time of 14 hours and standby duration of 136 hours. know more about this device here. The JBL GO Bluetooth speaker offers built-in mic, which allows you to talk while the phone is connected to the speaker. It has a frequency response between 80Hz - 20KHz with the sensitivity-to-noise ratio less than 80DB. As per the company’s claim, the device promises to deliver 5 hours of playtime in one charge. The JBL GO is available in a wide range of colors with an additional cashback of Rs 250 on Amazon. You can buy the device here. The CrossBeats Soul True Wireless earphones are tangle-free and portable earbuds that come with a storage box that charges it as well. The box, which it comes in, can charge the earphones so that they deliver up to 15 hours of battery life. Each earbud can be used separately for picking up calls or listening to music and an individual earbud has a battery life of 4 hours. You can check this device out here.